“Friendship Song” is about lifting you up. 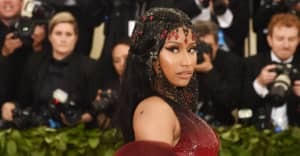 Nicki Minaj appeared in a cut-for-time sketch from her run as musical guest on this weekend's season finale of Saturday Night Live. In "Friendship Song," host Tina Fey joins Aidy Bryant and Kate McKinnon is lifting each other up by tearing down each other's enemies in a vicious Haim-like anthem. Minaj joins in on the third round, directly going in on "Tonya" without needing any details. Watch above. Haim, for their part, enjoyed the send-up, writing "LIFE. MADE." in a tweet sharing a clip.